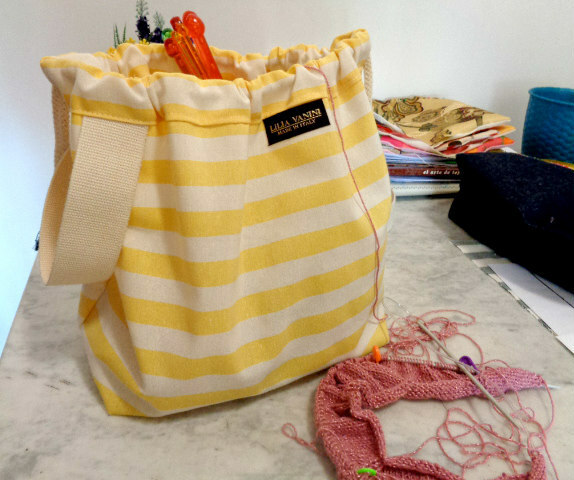 This morning I finished this cute drawstring project bag for knitting and crochet, what do you think? and the other fabric is on progress right now! Love it. The bright yellow stripes are so cheerful. Oh! Thank you so much for such a lovely feedback, today I made another great looking bag, I just need to edit the pictures and I will be happy to post in a few more minutes! stay tuned!